Mini-grids can be a viable and cost effective route to electrification where the distance from the grid is too large and the population density too low to economically justify a grid connection. Mini-grids provide an enhanced service level compared with household systems and depending on local resources and technologies employed, can be comparable to a well-functioning grid. In spite of these barriers, and recognizing the opportunity of clean energy mini-grids to deliver on SEforALL targets on energy access and renewable energy - an increasing number of national and international firms and agencies are developing projects aimed at both hybridizing existing diesel mini-grids with renewable sources, as well as installing green-field mini-grid systems to serve communities, businesses and community services. The membership of the HIO is open to all organizations with interest and activities in the area of clean energy mini-grids. A co-ordination group including Alliance for Rural Electrification (ARE), Deutsche Gesellschaft für Internationale Zusammenarbeit GmbH (GIZ), EU Energy Initiative Partnership Dialogue Facility (EUEI PDF), United Nations Foundation (UNF), United Nations Environment Program (UNEP), UK Department for International Development (DFID) and the SEforALL Global Facilitation Team (GFT) will guide the activities of the HIO during the first year of its operations, engaging a wider membership and coordinating startup activities. The HIO Secretariat will be hosted jointly by UNF and ARE and provide logistical and thematic support to the HIO membership. A Newsletter on Clean Energy Mini/Micro-grids is now available showcasing innovative business models, financing opportunities, tools and events in the clean energy mini-grids sector. 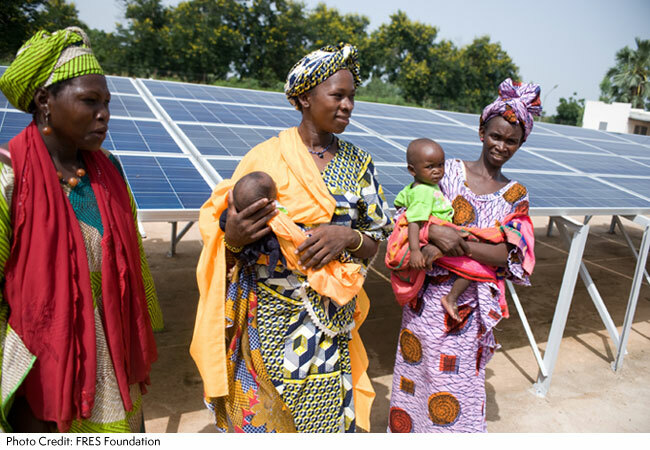 The Newsletter is produced by the UN Foundation on behalf of the Sustainable Energy for All High Impact Opportunity on Clean Energy Mini-grids, with support from the World Bank and ESMAP. Sign up to receive the Newsletter at www.energyaccess.org/news/minigrid-newsletter and contact us at minigridnews@unfoundation.org with any questions, comments or suggestions of items you would like to see covered in the Newsletter. To do so, the Alliance for Rural Electrification on behalf of the HIO collected information on the relevant activities of a broad group of stakeholders from the whole clean energy mini-grids value chain. The results of this project, made possible by the kind financial support of the Rockefeller Foundation and Deutsche Gesellschaft fuer Internationale Zusammenarbeit GmbH (GIZ,) as well as importantly by the input from a wide range of stakeholders in the mini-grid markets are reflected in a webtool, where users can filter on aspects relevant to their needs, and a publication, for the benefit of all stakeholders.